The module connects to the video, USB, audio and RS232 ports of your computer and then connects via CAT 5, 5e or 6 cabling to the ADDERView CATx KVM switches and/or ADDER extender receivers (either ADDERLink X100 or X200), each of which can be located up to 300 meters from the module. Your video display, keyboard, mice and speakers are linked to the remote devices. Two channel CD quality audio is supported. The module contains a default set of EDID information that supports display resolutions up to 1920 x 1200 @ 60Hz. 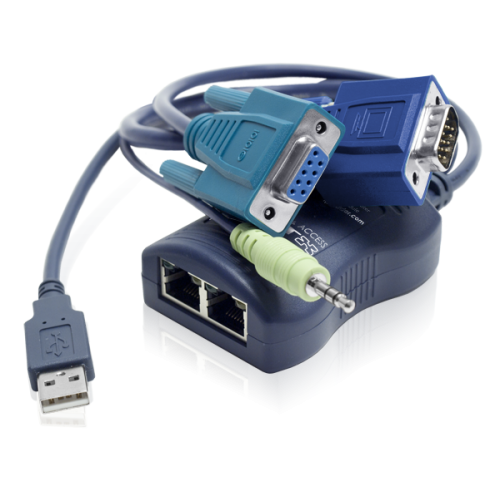 In addition, the module will check during power up whether alternative EDID information is available from the KVM switch or extender that is connected to port A. If required, you can also harvest and store new EDID information from your display (Read and Store). 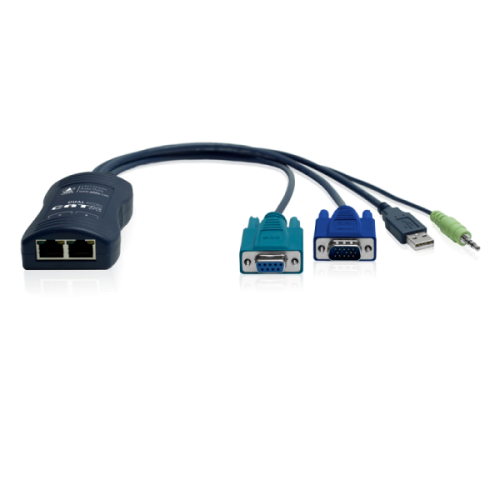 The CATx Dual CAM uses a USB port to derive its power from the host computer, dispensing with the need for a separate power supply and thus simplifying installation. Therefore the USB cable must always be connected to a USB port on the computer that is capable of providing up to 300mA. When required, a user of one remote link can disable (and re-enable) the other remote link using serial port commands.